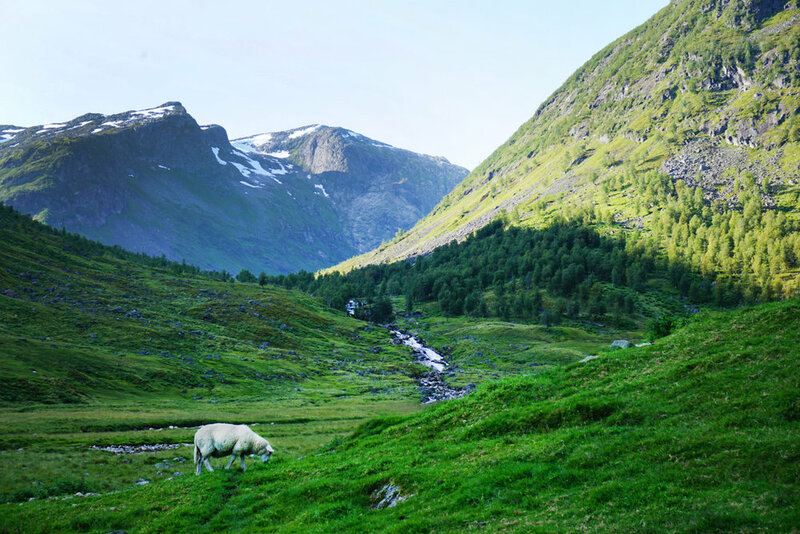 In the summer you may climb the Togga mountain, walk in the valley of Frudalen or walk along the Anestølen lake and visit the summer farm at Anestølen. The options are many, and we would be pleased to show you the way. Anestølen is a summer farm for goats with over 600 goats, which is beautifully located between spectacular mountains in the north end of Anestølsvatnet, about 3 km along the Anestølsvegen from Uteplassen. In addition to goats, both sheep and cows graze here in the summer. Anestølen can be visited by car (toll road), by bike or by foot, and is a great trip in beautiful nature.